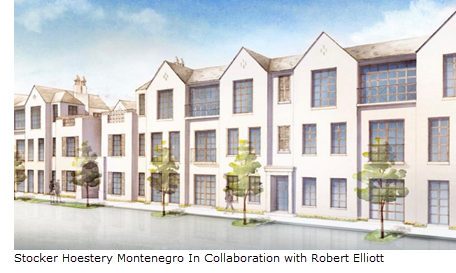 ​​ ​FRISCO – Construction has started on a new $100 million luxury condominium development, called The Corvalla, in Stonebriar neighborhood. The development, which sites near the '$5 Billion Mile', will have condos range from 1,700 sf to 3,000 sf, and priced from the $700,000s to the $1.2 million range. Amenities will have outdoor courtyards with fire pits, bocce ball courts, and a resort-style pool with cabanas. The Corvalla is slated to open to residents in late fall 2018.